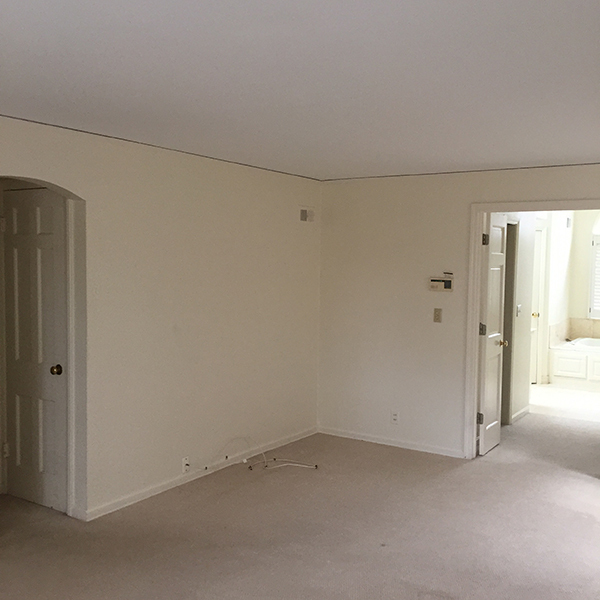 But today, I wanted to share with you a few rooms from this same home that avoided intensive remodeling and instead saw some very effective cosmetic upgrades! Let’s start upstairs and work our way down. 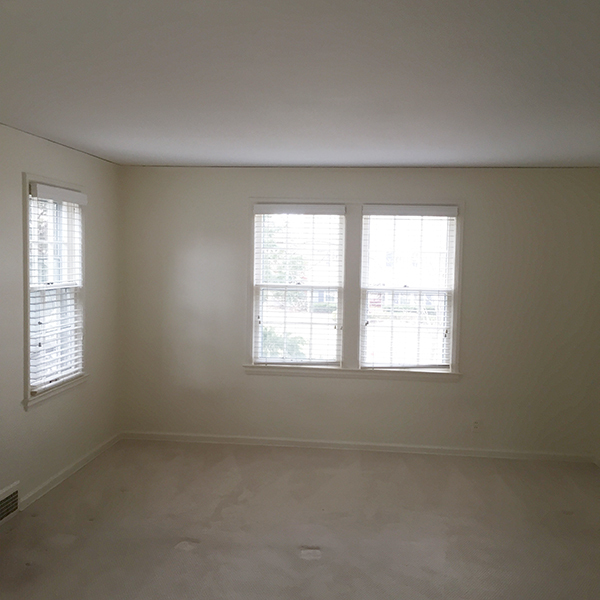 The master bedroom upon purchase wasn’t bad – it just wasn’t good either. 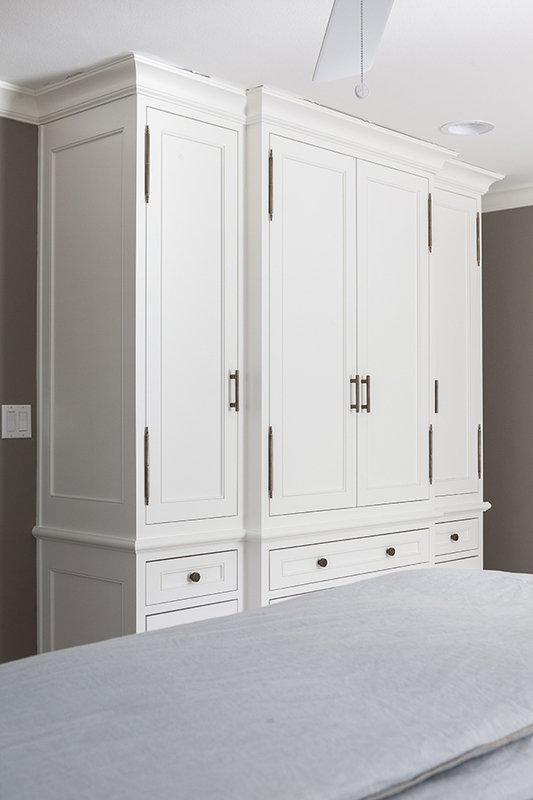 So to add some function and form, the clients and their designer Natalie O’Shaughnessy opted for designing and installing built-in cabinetry. Isn’t that such a charming addition? And did you notice the brass sconces tucked into the side panels of the bookshelves? Such a great idea! 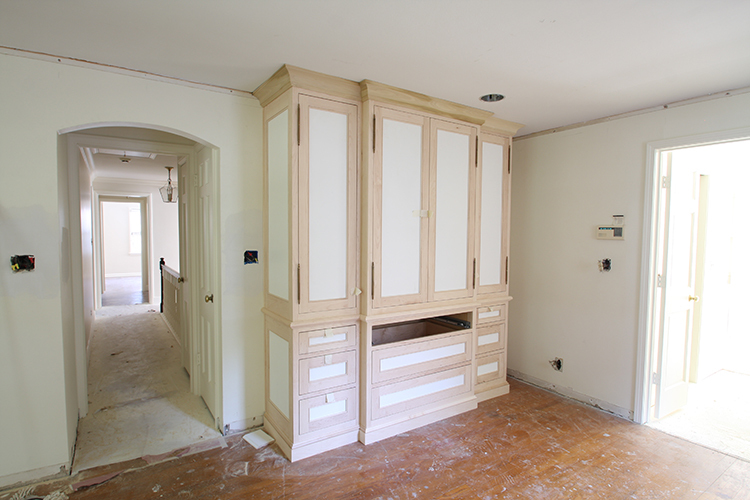 On the other side of the room now sits another new custom built-in. Did you check out that cabinet hardware?? Those exposed hinges! Those knobs! Those pulls! All so stunning!! Back downstairs in the dining room we continued on with updating the aesthetics – not the structure. In came our trim carpenter Pete. 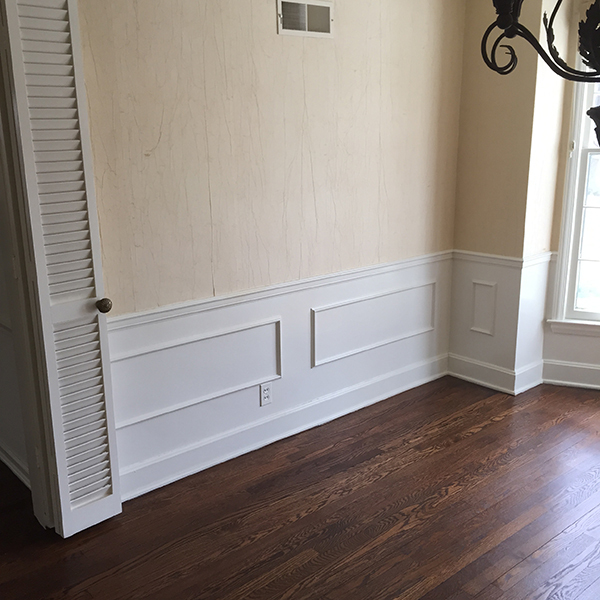 While the homeowners liked the idea of wainscoting in the space, the existing wasn’t truly wainscoting – it was applied molding – and it sadly sat slightly too low to the ground. The dining room now looks like this! Isn’t that a great chandelier? 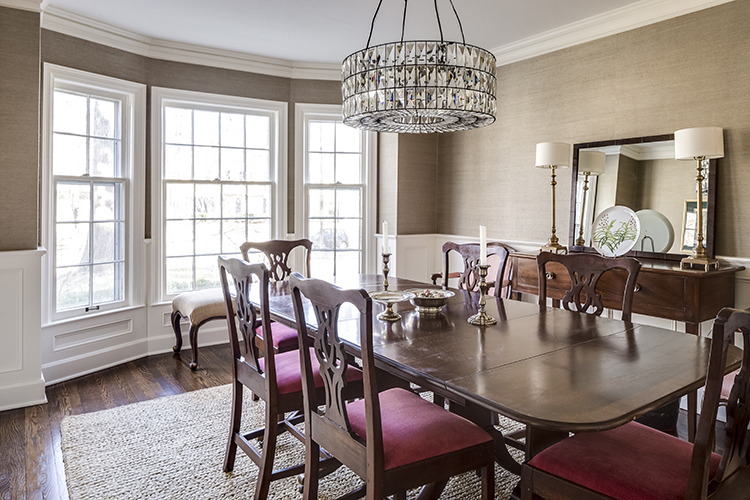 Adds some major glam to a mostly traditional space. Great juxtaposition. 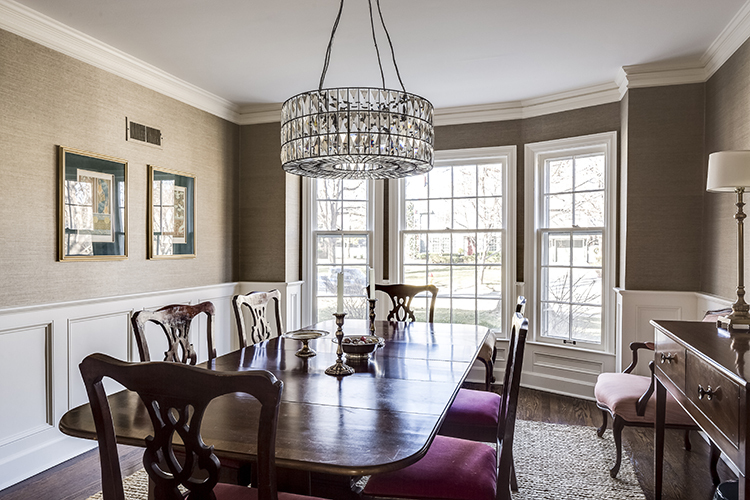 Just across the foyer from this elegant dining room is another great space that required very little overhauling. 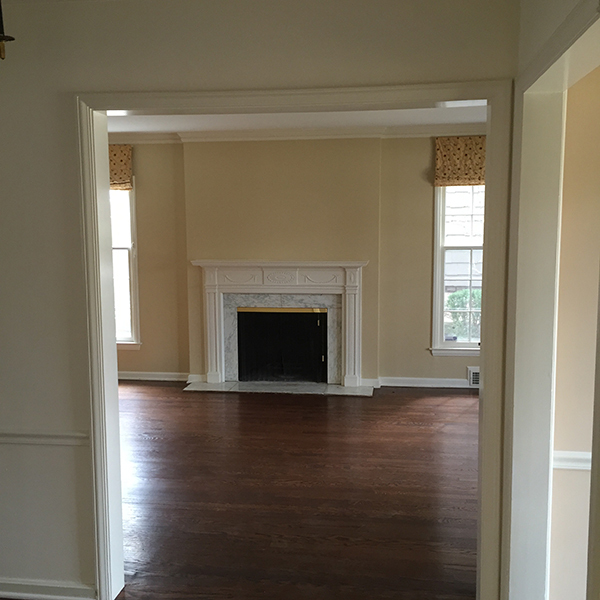 The living room already featured a great fireplace mantle and beautiful crown molding. 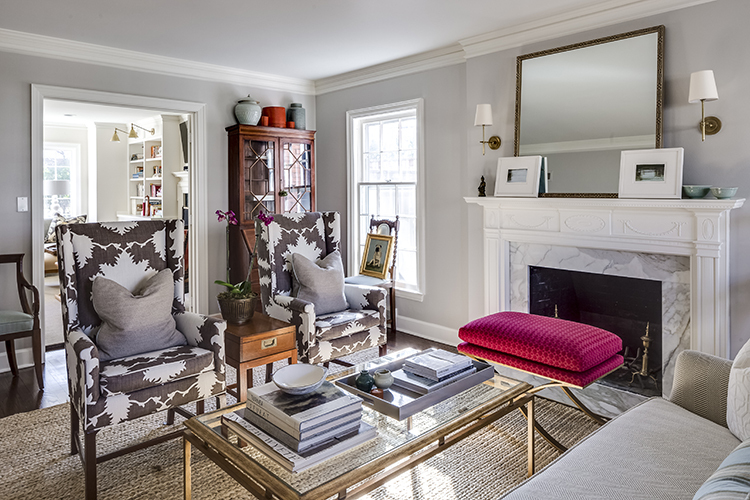 All we did was paint, replace the stone surround, wire a pair of sconces, refinish the floors and watch as our clients’ furnishings – under the tutelage of their designer Natalie – made it magazine-worthy! And last but not least for this post, the entryway of this great Old Sagamore home saw one of the biggest (and yet smallest in terms of square footage!) upgrades. Here was the entry before. 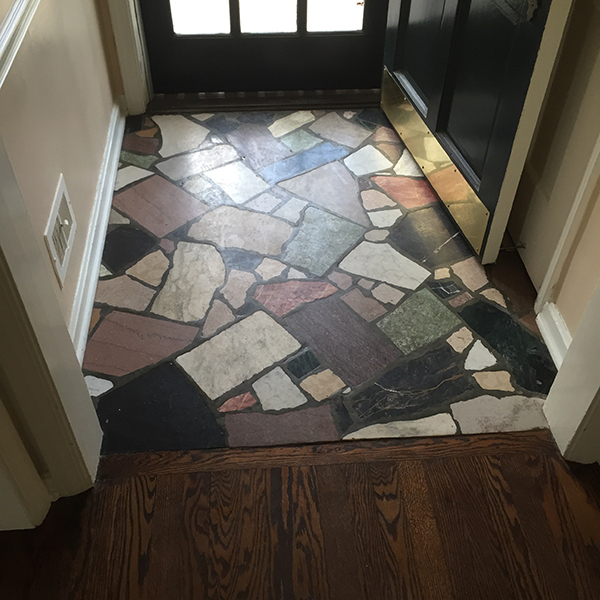 Natalie O’Shaughnessy chose an incredibly unique tile from Amy at International Materials of Design to replace the existing foyer flooring. But it barely shows in our “after” photograph below, so take a look at this close up first! This ain’t your standard Home Depot tile, ma’ friends. No, not even close. 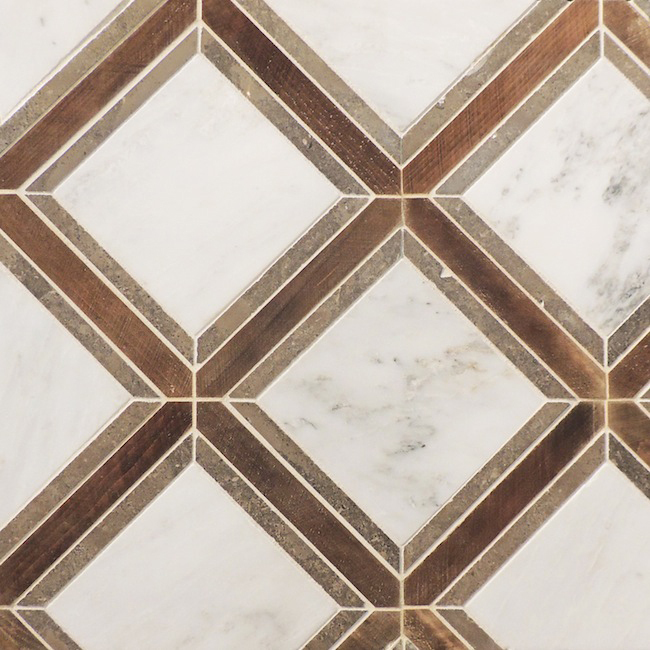 Try an intricate blend of calacatta marble, lagos and laforet antiqued oak! Hello! How would you like to walk across that entryway every day! It’d be pretty darn fabulous! And the wallpaper is like the icing on the cake. Actually, that wallpaper is like the icing, sprinkles and candles on the cake. Totally beautiful. Such a huge impact in such a tiny space. 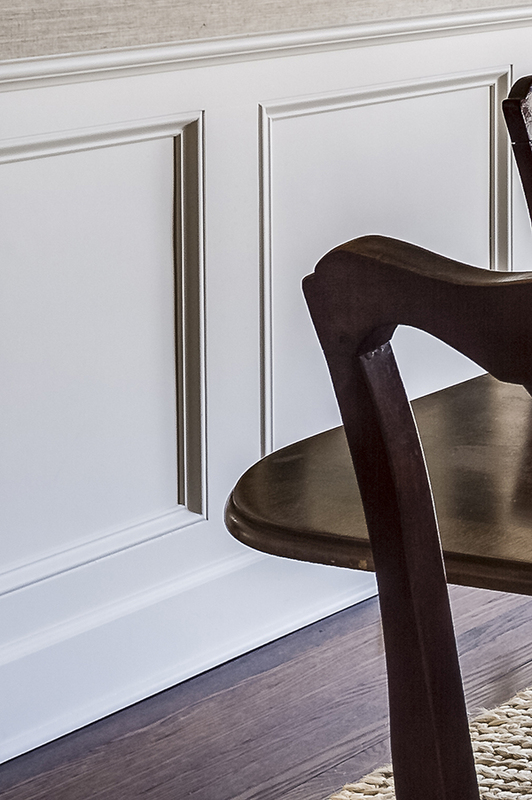 As with the kitchen and the mudroom, here’s our stab at how to get this look in your own home. And as we’ve mentioned before, your best bet would always be to go straight to the source! The homeowners’ designer has a boutique in Crestwood called O’Home where you can find lots of home accessories and hire design help! 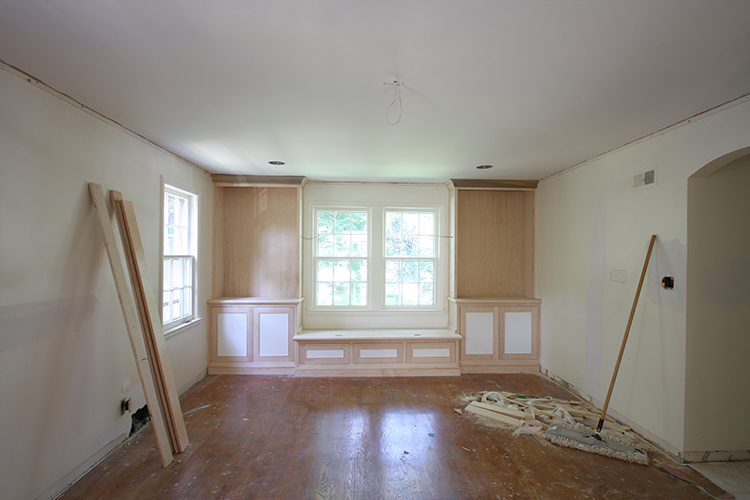 Be sure to check back soon – there’s one more reveal from this home – the family room! 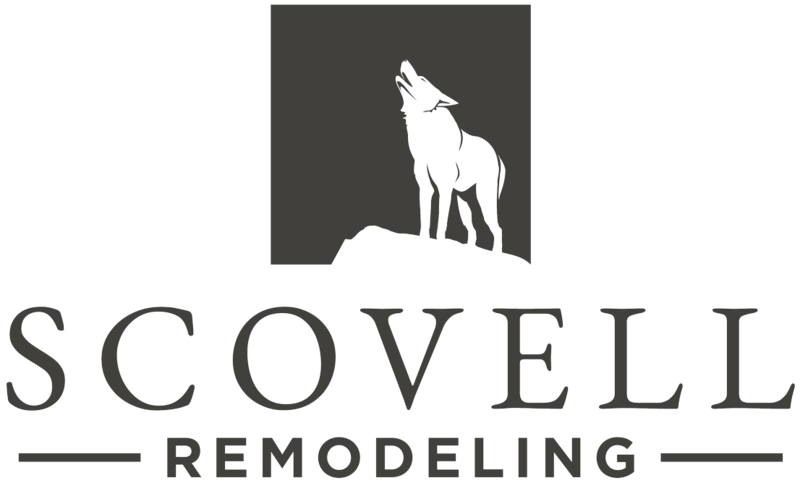 Meanwhile, if you enjoyed this post, you may want to check out these before and afters of an awesome remodel we did in Brookside for another young family!